Idaea obfusaria - Hodges#7123 (Rippled Wave). 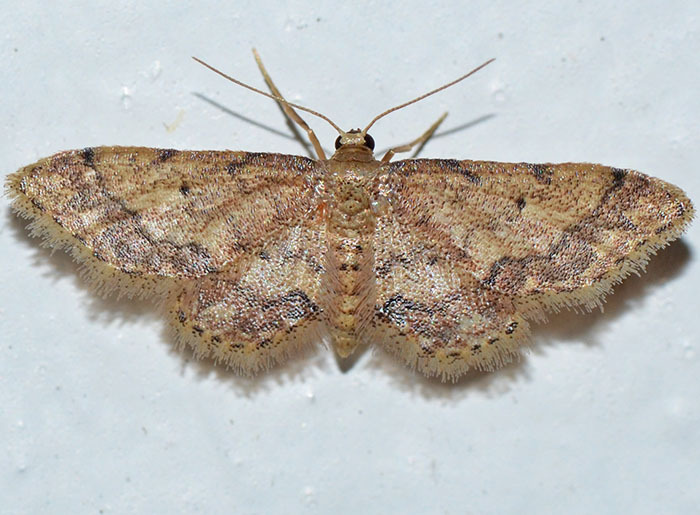 This Geometrid moth is a Rippled Wave (Idaea obfusaria). 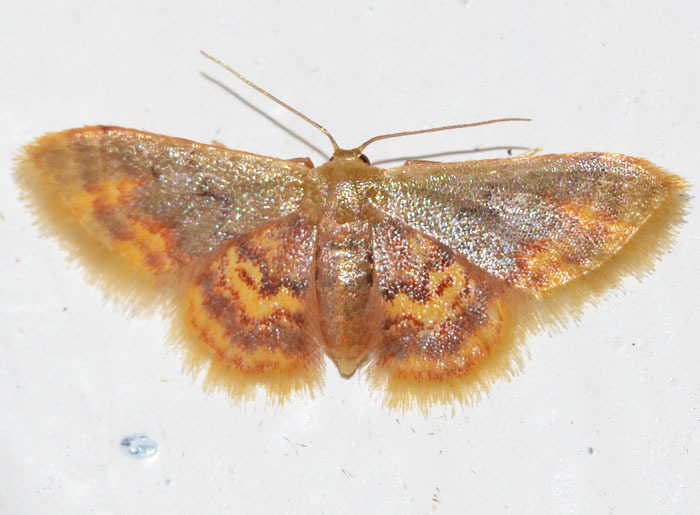 Its forewings are crossed by three brownish wavy bands. Each wing has a central large black spot. Caterpillar host plants include clover and dandelion. The small photo was taken 24 h later. Idaea tacturata - Hodges#7122 (Dot-lined Wave). Size: approx. 20 mm. Photo: 04/19/12, 9 pm. 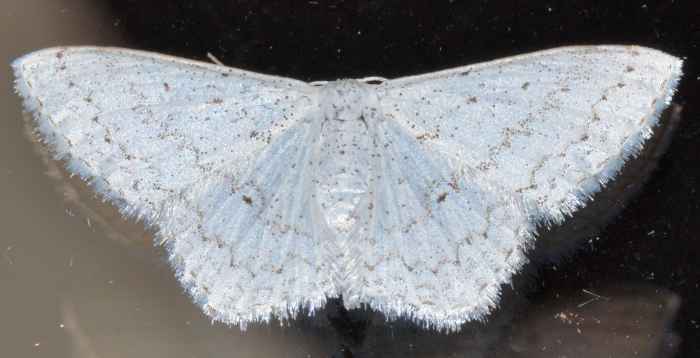 The Dot-lined Wave (Idaea tacturata) can be found in the Southeastern US and Texas. The dotted or zigzag lines on the forwing continue on to the hindwing. In addition, it features tiny black dots on all wings, and some scattered blackish scales. The small photo was taken on 08/20/14 around 10 pm. Size: approx. 12 mm. Photo: 05/13/15, 10 pm. 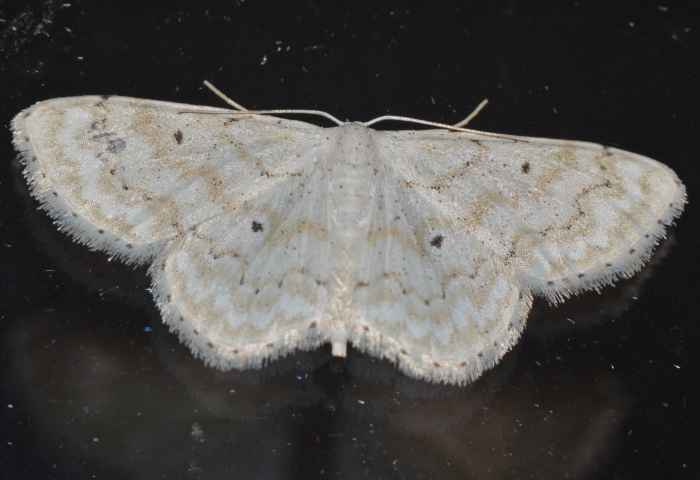 Another Idaea moth. This species is rather small and overall has a shiny, glass-like appearance. 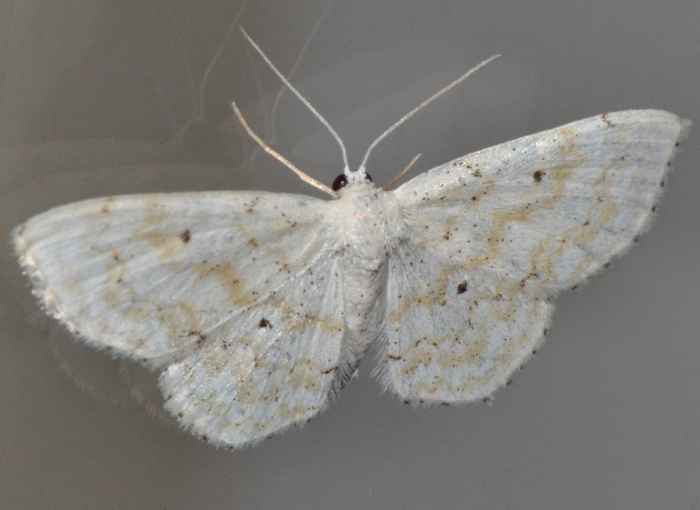 ... and yet another Idaea moth. 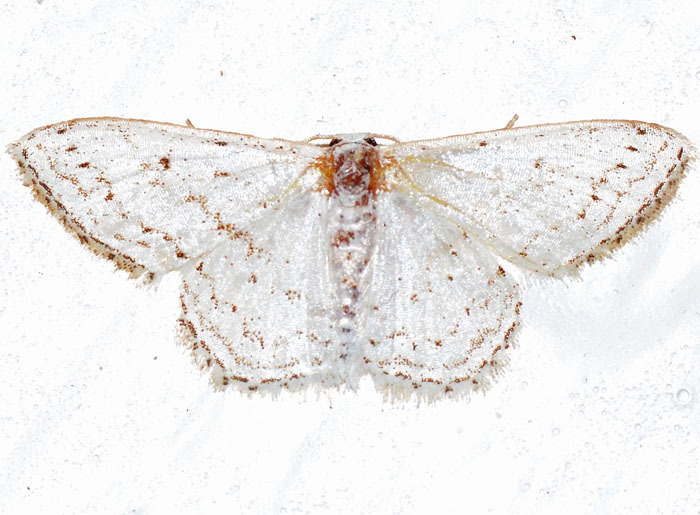 The wingspan of this moth is about 1/2".